Though women crime and suspense writers dominate today’s bestseller lists, the extraordinary work of the mid-century pioneers of the genre is largely unknown. Turning in many cases from the mean streets of the hardboiled school to explore the anxieties and terrors lurking in everyday life, these groundbreaking novelists found the roots of fear and violence in a quiet suburban neighborhood, on a college campus, or in a comfortable midtown hotel. Their work, influential in its day and still vibrant and extraordinarily riveting today, is long overdue for rediscovery. This volume, the first of a two-volume collector’s set, gathers four classic works that together reveal the vital and unacknowledged lineage to today’s leading crime writers. 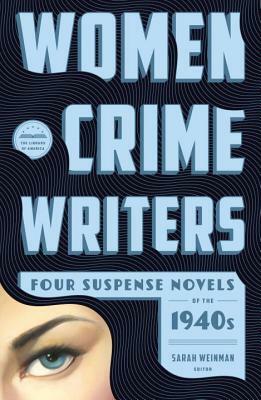 From the 1940s here are Vera Caspary’s famous career girl mystery Laura, Helen Eustis’s intricate academic thriller The Horizontal Man, Dorothy B. Hughes’s In a Lonely Place, the terrifyingly intimate portrait of a serial killer, and Elizabeth Sanxay Holding’s The Blank Wall, in which a wife in wartime is forced to take extreme measures when her family is threatened.